Until the very last second, no one outside Fifa took the lightweight Qatar World Cup 2022 bid very seriously. Tiny Qatar, ranked 144 and 156 in population and area worldwide respectively, was uncharacteristically brave enough to bid for football's greatest tournament. Hence it was a mighty surprise that an Arab, Middle Eastern, Islamic and Gulf state was convincingly selected to organise the world's biggest and most popular sporting event. Qatar, the second richest state on Earth per capita with a projected GDP growth of 18 per cent during 2011, instantly made history in Zurich after outbidding heavyweight competitors such as the US, Australia, Japan and South Korea. The inescapable message conveyed by the unconventional Fifa was: no one should ever underestimate the power of small states, especially small Arab Gulf states. Qatar is simply the latest embodiment of the strong emergence of the Gulf region as new regional and global centre of activity, creativity and gravity. This is the Gulf moment in Arab history. Qatar, the UAE and the other Arab Gulf states, each in its own unique way, are shaping this extraordinary moment in Gulf history. The Gulf is not just an interesting place to live and work in but this is amazing time for the region. Something truly historical is happening here and now in this part of the Arab world. In the absence of the old centres of Arab leadership, such as Cairo, which failed miserably in its bid for the 2010 World Cup, the small yet unabashedly ambitious Gulf cities, such as Dubai, Abu Dhabi, Doha, Jeddah and Manama, are taking the lead by influencing events, projecting confidence and acquiring a status as the epicentres of power, diplomacy, commerce, energy, media, IT, innovation, education, culture and art and — most recently — sport. Not only has the centre of Arab wealth moved to the Gulf, but so has the source of new initiatives and thinking. Just a few decades ago, these cities where hardly noticeable. People nearby, as well as outside the Arab world, were totally dismissive of Gulf cities. Nobody paid any attention to the Arab Gulf states either. Conventional wisdom treated these as backward, traditional, Bedouins, insignificant, vulnerable little ducklings that survived on oil and foreign protection. Little wonder that since winning the rights to stage the 2022 World Cup, Qatar has been bombarded with baseless negativity. The Arab Gulf states have come a long way. They faced up to the tough challenges of the first modernity period from 1971 to 1990. They saw through the turbulent years between 1990 and 2000. These states are now adapting reasonably well to the gains and pains of going global. The past 40 years have not been easy for Arab Gulf states. They have worked relentlessly. The result of this hard work is the complete rupture with the past and the emergence of the new Gulf. The Arab Gulf states of the 21st century are visibly different from those of the 20th century. Very few insiders, and outside observers, have come to appreciate the new Gulf realities. 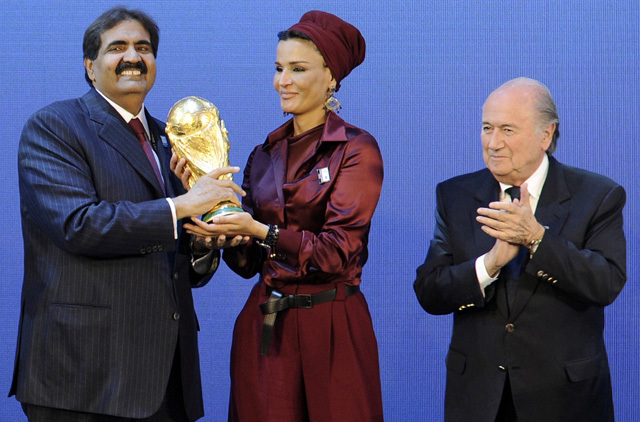 Qatar's bid for the 2022 World Cup is consistent with the rise of the new Gulf. Now, the Gulf is a totally different place. And the Arab Gulf states want to tell a totally different story too. These states are not just full of oil and energy resources. They are also packed with creative minds, determined leaders, and a young and entrepreneurial middle class. These states are prosperous, politically stable and are firmly embedded in ideological moderation. These are hallmarks of the new Gulf and the fundamental forces driving the Gulf moment. Qatar and other like-minded Arab Gulf states are part and parcel of this moment and should not be underestimated. They plan big not just for themselves but for the rest of the Arab world, too. They want to build the new Arab brand and shape the new Arab future which is stable, moderate and prosperous. Their aspirations are legitimate and it just happens that they have the means to implement them. These lofty aspirations should be recognised and accommodated just as Fifa rightly did. If they are gutsy enough to play in the major league and compete against the best so be it. What is the grudge? Those pathetic souls who see Qatar's victory in the bid for World Cup 2022 as a "wrong decision" are not just bad losers, they are on the wrong side of history since the Gulf moment, of which Qatar is one important ingredient, is here to stay well beyond 2022. Dr Abdulkhaleq Abdullah is Professor of Political Science, Emirates University.